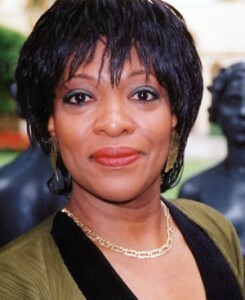 RITA DOVE served as the Poet Laureate of the United States and Consultant to the Library of Congress from 1993 to 1995 and has served as Poet Laureate to the Commonwealth of Virginia. From her first collection of poetry The Yellow House on the Corner in 1980, Dove has gone on to publish short stories, a novel, essays, and a number of poetry collections, the most recent of which is Sonata Mulattica, released only the week before this interview. She sat down to talk with David Blomenberg, Sycamore Review’s poetry editor at the time, in front of an audience at Purdue University. Below are a few exchanges from the much longer interview, which you can find in Issue 22.1–Winter/Spring 2010, due out next month. DB: You return so often to musical themes in your work. Music seems to be a real constant, even to a point of where you had a live reading with John Williams’ music as well as a song cycle of vocal music. What is it for you that makes music such fertile ground for writing? RD: I grew up playing the cello. Later, as an adult, I switched to the viola de gamba, which is an early string instrument. I’ve always had music in my life. My grandparents played mandolin and guitar, my parents made sure all of us kids learned an instrument. After grad school, when my schedule made it impossible to practice regularly, I began studying opera — the voice is portable. I don’t know what it is about music; I love listening to it, but more than that, I need to be in it. There came a point, when I was an undergraduate, when I had to decide whether I wanted to go into music or something else. But I didn’t know what that something else was — even though I loved to write more than anything, really, I didn’t think it was something you could do professionally. You know, creative writing in the academy was not what it is today; there weren’t as many programs, so the prospect of pursuing an MFA was an adventure. It turns out I didn’t have the nerves to be a concert performer. I thought, well if I can’t get up on the stage and play cello without my knees shaking, this is bad. Little did I know that I was going to end up on stage anyway! DB: You also seem to be drawn in certain ways to the drama or play format—your play The Darker Face of the Earth, as well as that pivotal central section in Sonata Mulattica. Why those formats as opposed to like a Derek Walcott book-length poem? RD: Let’s put it this way: I love plays, I love their structure. To my mind, it’s the genre closest to poetry, interestingly enough, but I don’t know why that is. People can argue with me about this but I’ll stick to my guns. Maybe it’s because with poetry you really get down to the bones of the language, and yet there’s still so much that must be conveyed in those few words — through etymologies, or the way a word feels in your mouth, the cadence of its syllables. You can’t dither around with exposition, descriptions that go on for paragraphs; you have to get it all in a couple of words. I love that rhetorical cage. DB: I noticed that your works often have also sort of a dual time frame where you’ve got a past and a present going simultaneously, such as with Darker Face of the Earth, and Mother Love. In Sonata Mulattica, there’s that surprising scene where you have a famous song from the 1960’s showing up in a pivotal scene between Bridgewater and Beethoven. Can you tell me about that? It seems to be a thread that runs through some of your more recent works. RD: I was definitely aware of it while writing Sonata Mulattica. I felt I could not approach this subject burdened by a sense of the hallowed past. To really enter into a time frame other than your own, you first have to realize that your subjects don’t know what you know: They’re living in the moment, with no knowledge of the future. What do any of us know, living in our own present moment? In his time, Beethoven was considered a wild slovenly man — and a genius, yes . . . but not much of a dinner companion. These “classical” musicians were the rock stars of the day,. I wanted to inject that flavor into the book, lest readers be tempted to treat it as an artifact from the 19th century. Hence the witty asides, the rhetorical interjections, the non-sequiturs and deliberate anachronisms. Interestingly enough it’s only in the prologues and epilogues of the book where the authorial presence inserts itself, although a certain level of contemporary self-reflexiveness lurks in the background. To read the full interview, order a copy of Issue 22.1.